Now that the pixie dust has cleared from last month's glitzy introductions at the Paris auto show we go back and take a fresh look at some cars and concepts you may have missed. The small hatchback will compete in Europe with the Fiat 500 and Mini when it goes on sale next fall. 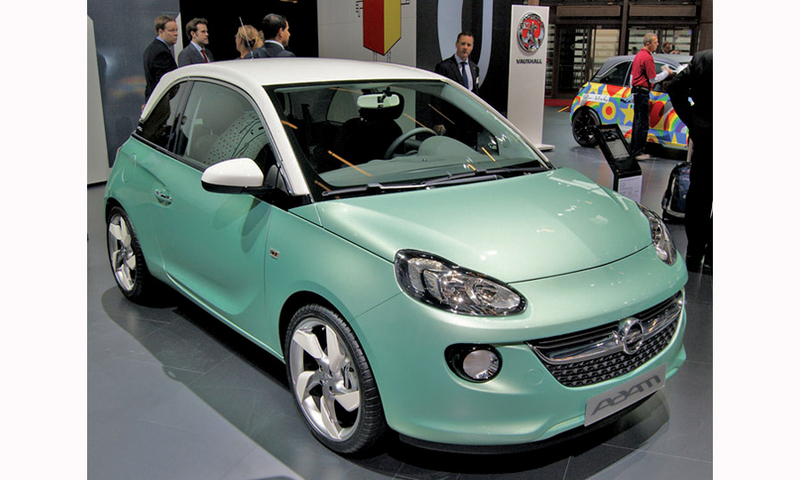 The Adam shares GM's Korea-developed Gamma II platform with the Chevrolet Spark. 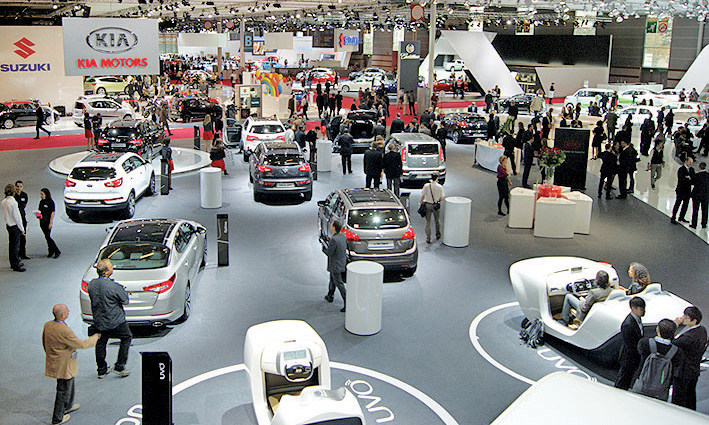 Opel's booth in Paris provided several examples of the Adam, showcasing the car's potential for customization. The concept is striking, with its fighter-jet profile, but the P1 was designed by former Fiat and BMW ace Frank Stephenson with performance in mind, not just appearance. McLaren did not disclose specifics of the powertrain, but the midengine P1 is expected to run a more powerful version of McLaren's MP4-12C's twin-turbo V-8. Power could hit 800 hp. A production version will debut in 2013. 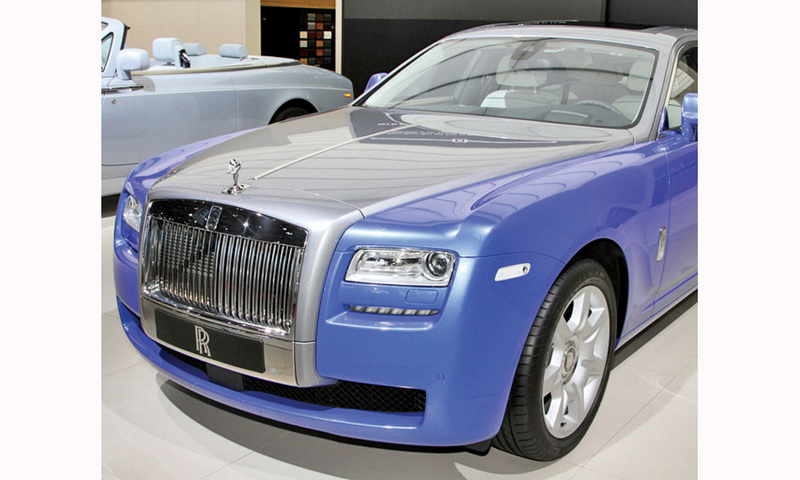 Rolls-Royce revealed Art Deco-inspired examples of its superluxury cars, including the Phantom Series II Saloon, Phantom Series II Drophead Coupe and Ghost. Among the Art Deco touches -- which pay homage to a 1925 Paris exhibition where the movement got its name -- Rolls brought out contrast stitching, hand-fashioned stainless-steel inlays, mother of pearl inlays, headrest embroidery and piano-black veneers. 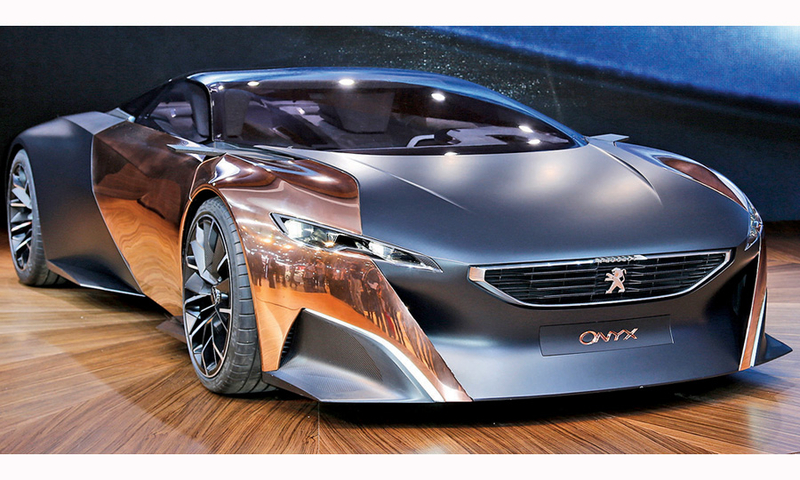 The French automaker's Onyx supercar concept is powered by a 680-hp diesel-hybrid engine. 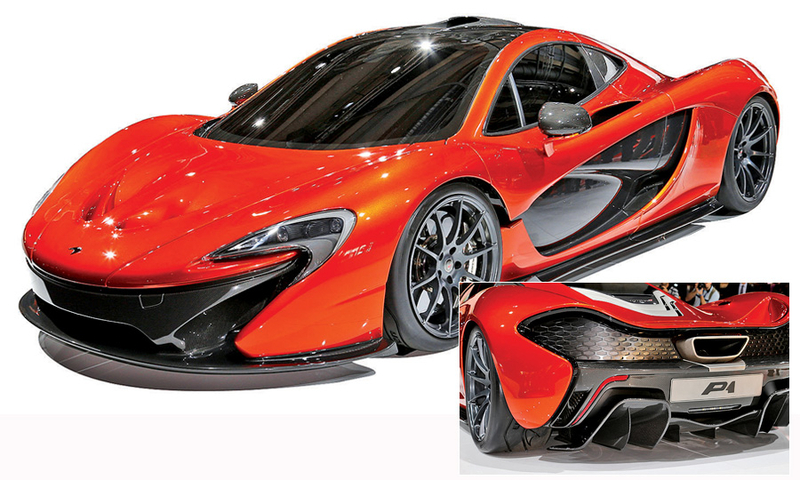 The striking exterior is made of carbon fiber, although the fenders and doors are clad in copper sheets. 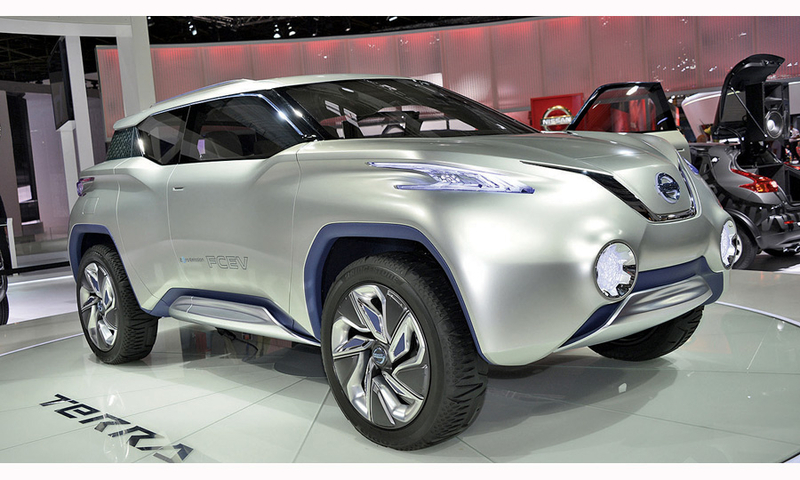 The fuel-cell electric SUV concept was designed by Creative Box Inc., a satellite design studio in Tokyo. The front wheels are powered by the drivetrain from the Nissan Leaf, while the rear wheels each get their own hub motor. So far Nissan hasn't said whether the Terra is headed for production. The ForStars concept gets its name from the glass dome on the roof that gives passengers a view of the starry night. 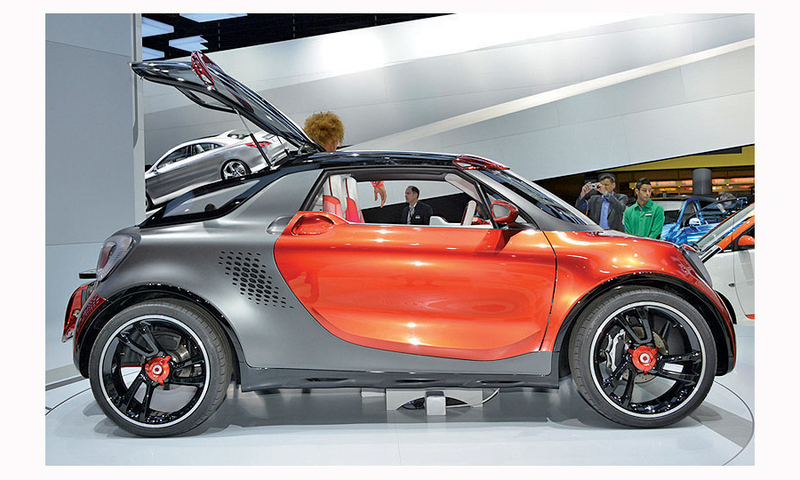 The car uses the new Smart Brabus electric drive 60-kilowatt motor. The ForStars has a longer wheelbase than the Smart ForTwo and a wider track. It also has shorter overhangs, creating more interior space. One intriguing feature: a projector that points out the front of the car and can project a movie onto any surface.